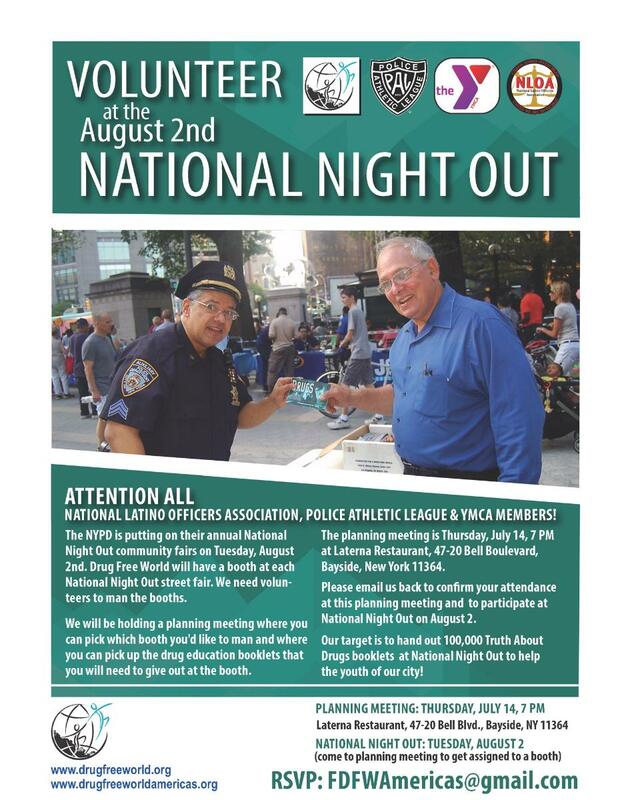 The National Latino Officers Association is seeking volunteers for the NYPD’s annual National Night Out community fairs on Tuesday, August 2nd. Drug Free World will have a booth at each National Night Out street fair. 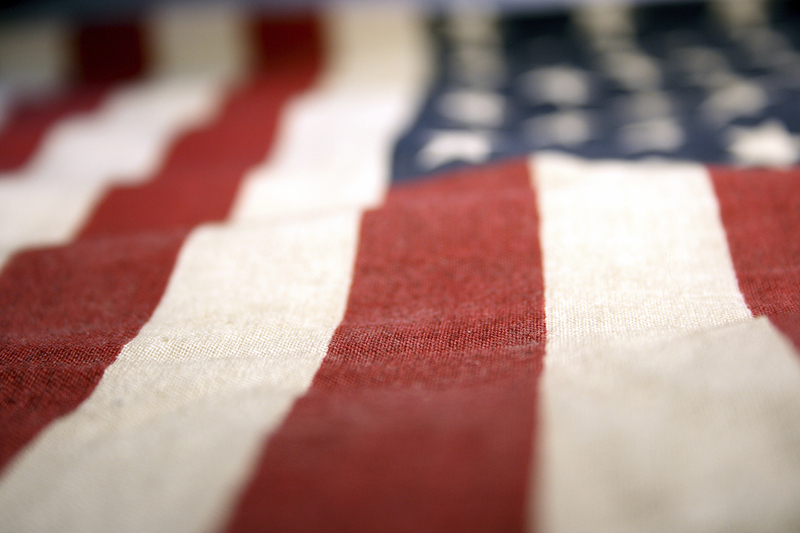 Please contact any NLOA Board Member to confirm your participation. We will assign you a booth and arrange for you to obtain the drug education pamphlets for your table. 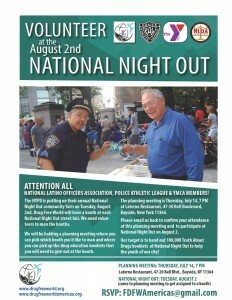 See the attached flyer below for general information about National Night Out.